Preheat grill to medium heat. Place the grill rack 8 inches from the heat. Combine the brown sugar, coriander, garlic, olive oil, chili powder, ginger, salt and black pepper in a small bowl. Mix well. Rub the brown sugar mixture on both sides of the flank steak. 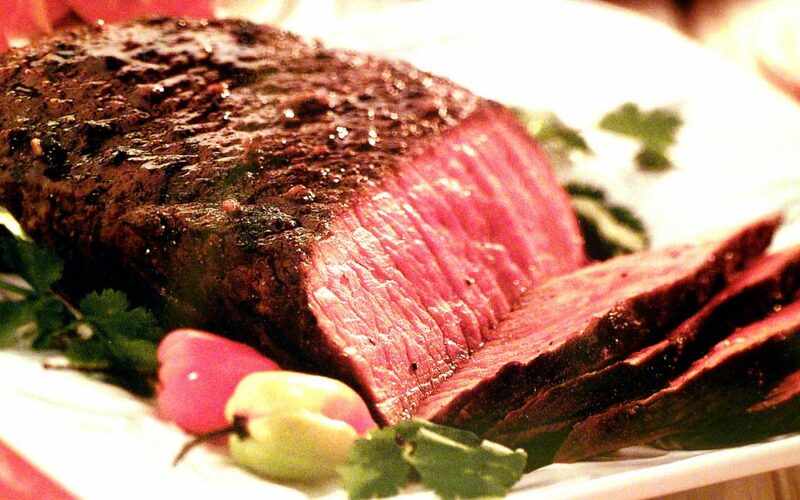 Place the steak on the grill and grill for 16 minutes or until an instant-read thermometer inserted into the center reads 160 degrees F, turning once. Cut the steak diagonally across the grain into 1/4-inch slices and serve.